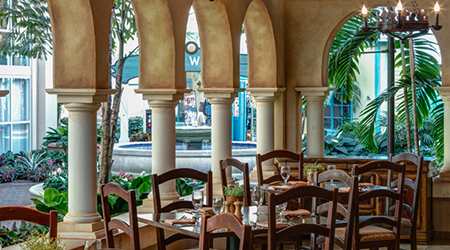 Celebrate Christmas at Gaylord Palms with signature dining at Villa de Flora! Chefs stationed at six markets invite you to sample their culinary creations. Our Christmas Day buffet menu is a feast for the senses, set in the grand dining room of a European villa.